Update: Since the GDR2 update, the Lumia 928 now has FM Radio support, as well. 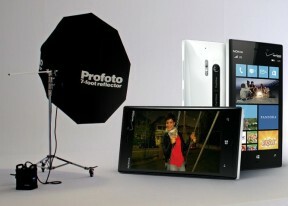 The Nokia Lumia 928 audio output is pretty similar to those of the other Lumia smartphones we have tested. Its relatively clean and with average volume levels, which should be enough for most users, but may not be enough to please very demanding audiphiles. When connected to an active external amplifier, the Lumia 928 managed good scores with the higher than average intermodulation distortion the only exception. Volume levels are about average. 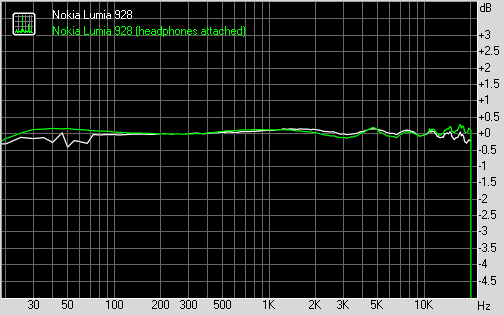 The degradation when you plug in a pair of headphones isn't too bad. Consisting of a notable increase in stereo crosstalk stereo crosstalk, it's certainly not the worst we have seen. Loudness levels do drop a bit, but not more than on most competitors in that scenario, so it's an average score once again.